Nubs is a cute and simple creature whose house has been destroyed by the malicious Reds. Will you help Nubs rebuild his home and go through the journey with his friends- Ally the wisp and Brute the worm? 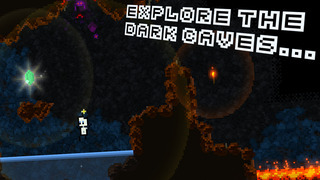 Each world you can explore holds its own secrets and traps, as well as foes and friends. Fight the evil Reds through puzzles and gather enough diamonds to rebuild the house. Good luck!